Description	 MS and printed in English on paper, England, 1988-1989, 4 lines, autograph, signed, full-page drawing, 19x12 cm, signed, 2 printed vols. Binding	 England, ca. 1989, Paperback and bound vols. Context	 Roald Dahl's autographed filmscript of Ian Fleming's James Bond novel "You only live twice" from 1967 is also in the Fleming/Bond library in The Schøyen Collection. 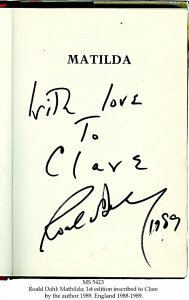 Nearly all other remaining Roald Dahl autographs and letters are in The Roald Dahl Museum and Story Centre in Great Missenden, Buckinghamshire. The majority of his discarded manuscript papers were thrown in his large wastepaper bucket, and when full to overflowing, he made once a month a bonfire outside his writing hut. Provenance	 1. Peter Harrington, London. Commentary	 Roald Dahl (1916-1990), Norwegian and British author of 20 children's books, 19 short story collections, novels, non-fiction, filmscripts and even a cookbook. By 2006 his books had sold some 100 million copies, and he still sells about 2 million copies of children's books a year. MS 5423 Quentin Blake (1932-) has illustrated all but one of Dahl's children's books, as well as 34 children's books of his own. According to Dahl, Quentin Blake is "The finest illustrator of children's books in the world today!" He was chosen to be the first children's Laureate in 1999, and in 2005 he was awarded the CBE for services to children's literature. 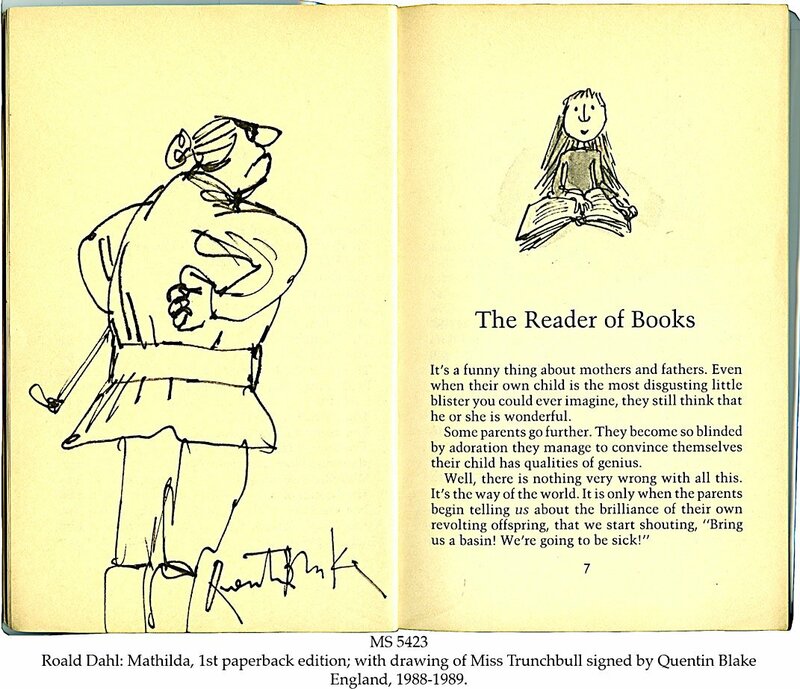 He has kept all his original drawings, intended for a future Quentin Blake museum, so the present original illustration of Miss Trunchbull is an exceptional occurrence. 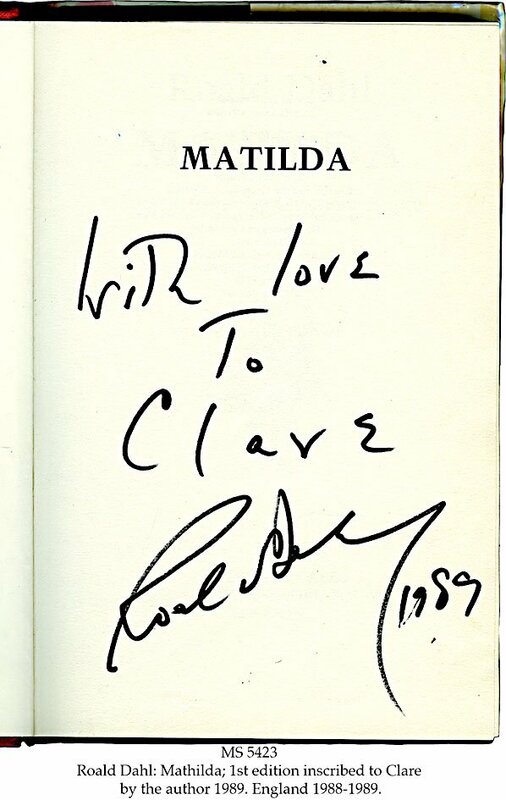 He did not copy any of the many Trunchbull illustrations in Matilda, but made this unique one of her standing in classical threatening posture, staring angrily to the right, to the first printed illustration of Mathilda sitting devouring one of her many books at the beginning of the first chapter "Reader of Books".